Are you an altruistic hot sauce enthusiast? A fiery gourmet with a heart of gold? 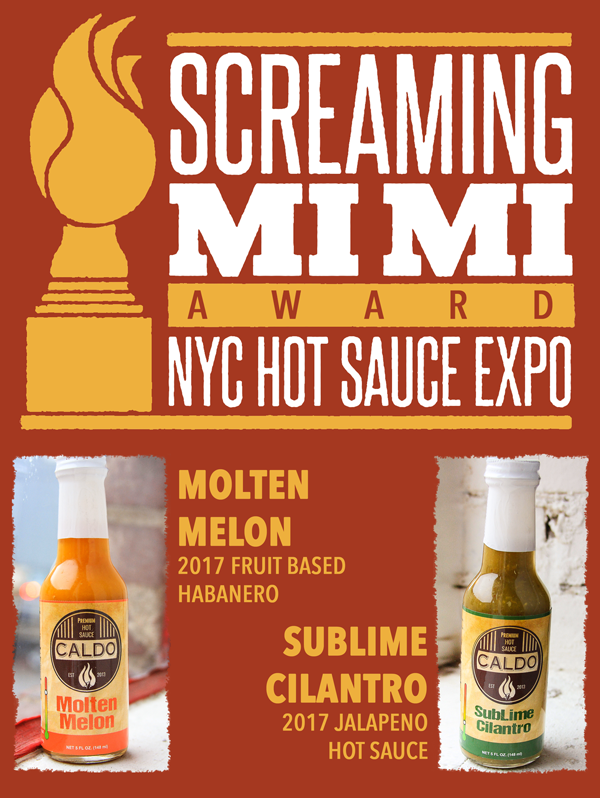 Become a do-gooder and you’ll see why so many are spicing up their lives with hot sauce for charity: Caldo Sauce from Hot Sauce 4 Good. Made from the finest locally grown ingredients, and bottled for a purpose, Caldo is on sale and has a mission to use our hot sauce to change the world by supporting charities that feed the hungry, educate the poor, and invest in hard working entrepreneurs in developing countries. Whenever available, the Caldo team at Hot Sauce 4 Good hand-selects peppers from five local farms, then prepares and bottles each batch locally, to ensure you’ll always receive the best we have to offer. Available by the bottle or in a multi-pack, our hot sauce for charity approach is great in your refrigerator or as a gift to your favorite fire-mouthed foodie. Our ever-improving “stock” recipes have been perfected for more than 10 years, and we often release seasonal specialty flavored hot sauce for sale on a limited basis. Turn up the heat with hot sauce for charity, and see why doing good just tastes right! Yes, #bowties confer #intelligence. #thrivecon. Today’s a good day. My dad’s procedure went great and I made it to #thrivecon #treatyoself.